Heat a wok or large non-stick frying pan over medium heat. Add the oil and laska paste and cook for 1 minute. Add the coconut milk, water, lime leaf and chilli. Bring to the boil, add the sweet potatoes, reduce the heat to low and simmer for 15 minutes. Add the bok choy and snow peas and cook for a further 2 minutes or until the sweet potato is cooked through and the bok choy is tender. 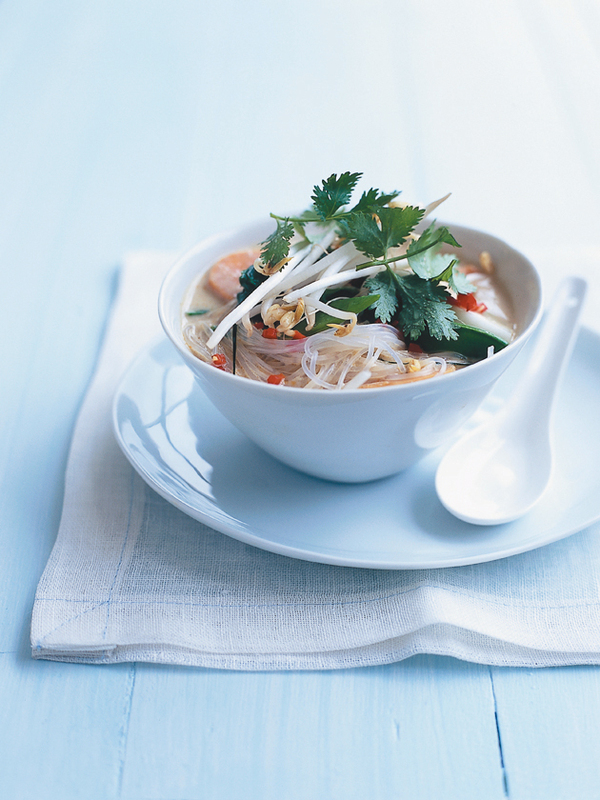 Divide the noodles between bowls, spoon over the laksa and top with the bean sprouts and coriander to serve. Serves 4.